This tulu is an old piece from Anatolia featuring an angular prayer niche pattern. 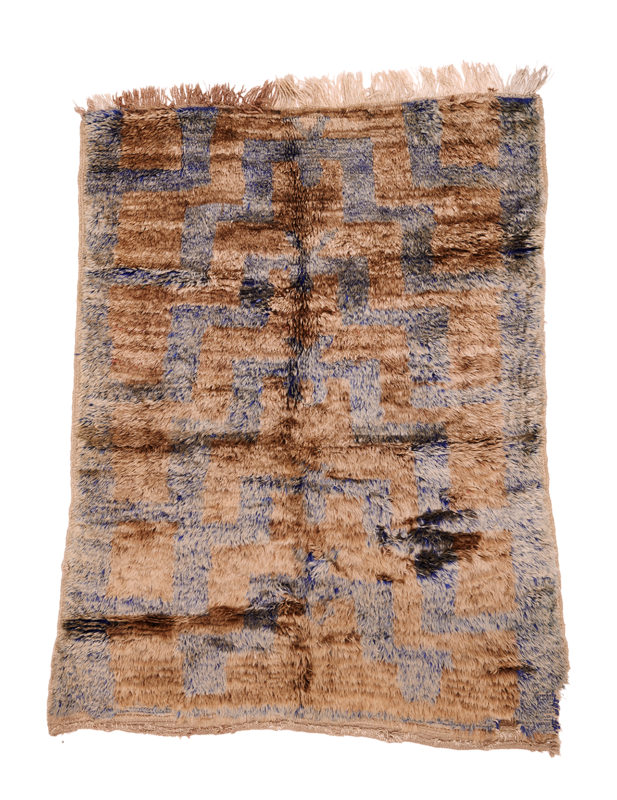 The lower edge is worn and the right corner is damaged, but this rare rug has still retained its majestic character. The wool is of a superior quality, very shiny and highly reflective. The subtle beige-blue combination is comforting and warm, and changes in appearance depending on the direction of the pile. Wear is consistent with age and use.